My last day in Iceland came way too fast! After all of 4 hours of sleep, due to a very late night of drinking local wine with new friends, I woke up and went to the cafe next to the hotel to grab a quick breakfast. Unless you can read Icelandic, which I obviously can after being there for 4 days, I will let you know that the little colorful box is a fruit and veggie juice mix. Much needed after much wine just hours before. I also got a coffee, which came with a chocolate (thank you very much) and some sort of buttery delicious pastry. Yum! Food does not come cheap in this country so the meals that weren’t provided (there weren’t that many of them) I kept small and tried to keep them as local as possible. That was one really cool thing about Reykjavik, I didn’t see too much Western (American) influence. Local all the way! After breakfast I sadly packed up my hotel room and somehow managed to cram everything into my carry-on and met the group in the lobby for our final Icelandic adventure! 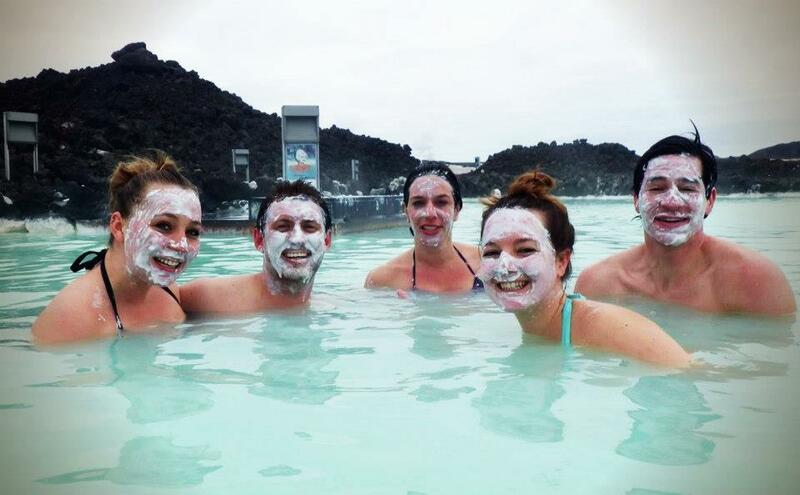 The Blue Lagoon is a geothermal spa located about 45 minutes outside of Reykjavik and about 20 minutes from the airport. How could we not make this our last stop of the trip? This natural wonder was accidentally formed in 1976 near a geothermal power plant and shortly after people flocked to bathe in its unique water and rub the natural silica mud on their faces (source). This relaxation heaven was much needed after 3 non-stop, action-packed, fun-filled AMAZING days in Iceland. 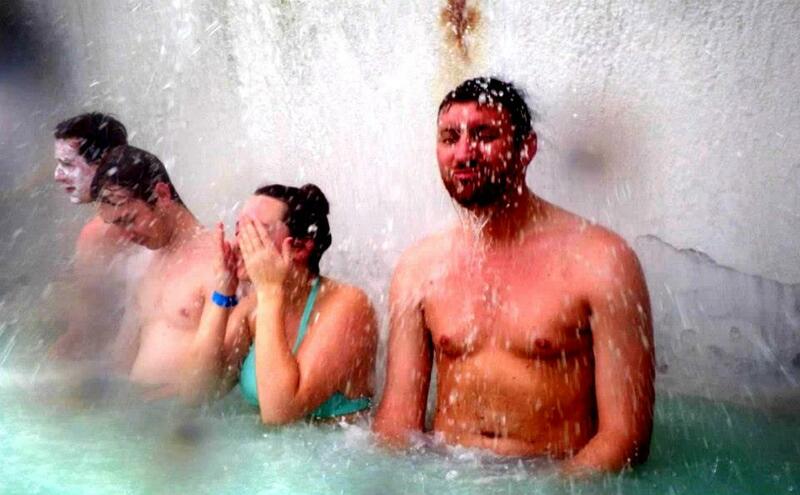 We enjoyed every aspect of the Blue Lagoon! We look good! Mud masks and waterfalls all day. After soaking myself for a couple hours, it was time to pack up and get ready to head to the airport. But one last treat before leaving the Blue Lagoon. After a luxurious day in the geothermal baths and a delicious strawberry Skyr smoothie, it was time to take one last group pic before jet setting home. This isn’t the whole group but its the lovely folks I spent the most time with! This was truly the trip of a lifetime. I had the most amazing time and was exhausted by the end of it. Knowing that this beautiful country is only a 4ish hour plane ride away gives me hope that I will make is back one day. Back to regular EFP posts tomorrow! Going to give a update on training for two races at once! Have an awesome day!